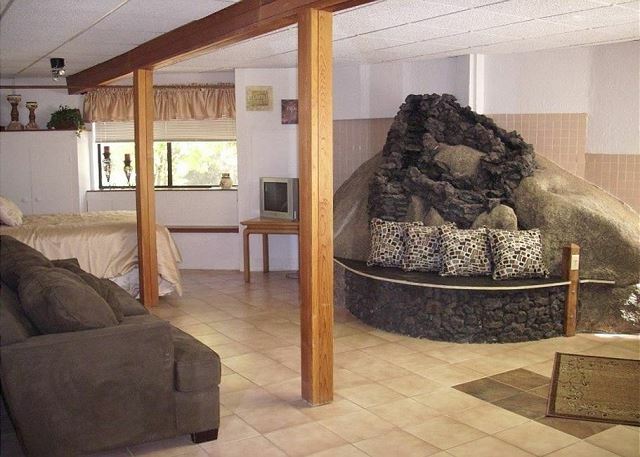 Dining Table & Lava Rock Fireplace! 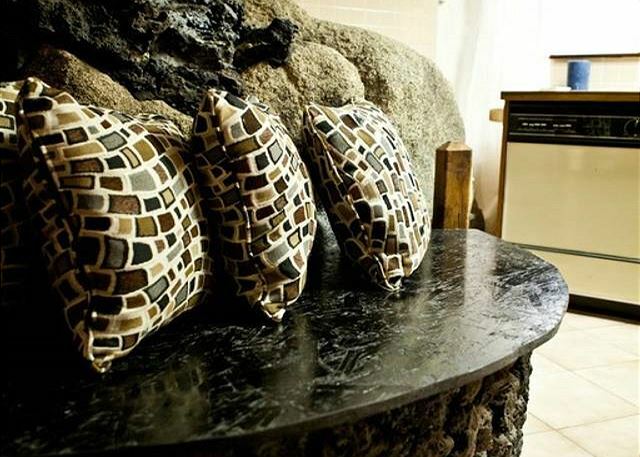 Dining table with Lava Rock fireplace. 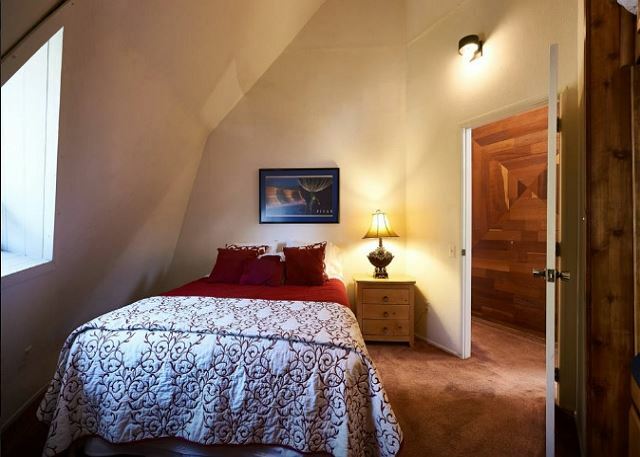 4th bedroom with king sized bed and fireplace. Top Deck Out Back, Right Off the Kitchen with. BBQ. 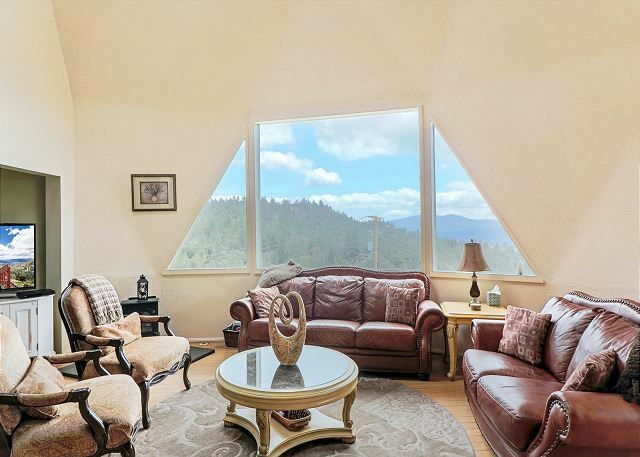 Stunning Mountain Views All Around!! 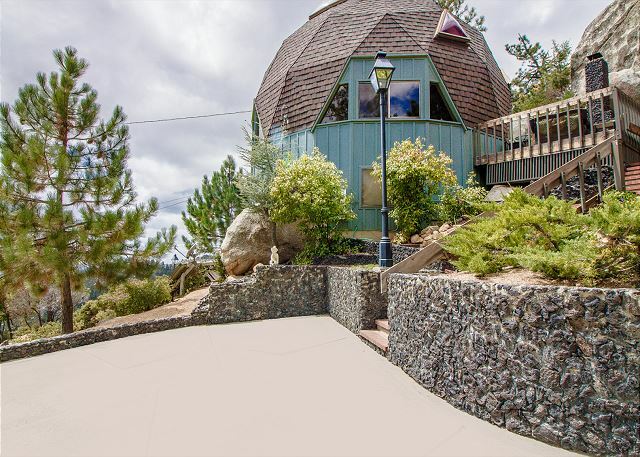 The Dome Home is Set Among Large Rocks. Amazing to See!! 2nd Deck, Dine Outside While Enjoying the View! 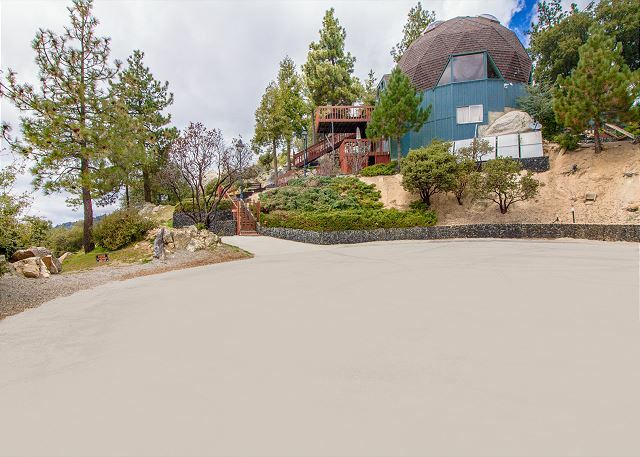 The Dome, Private Cul-de-sac & Two Driveways. 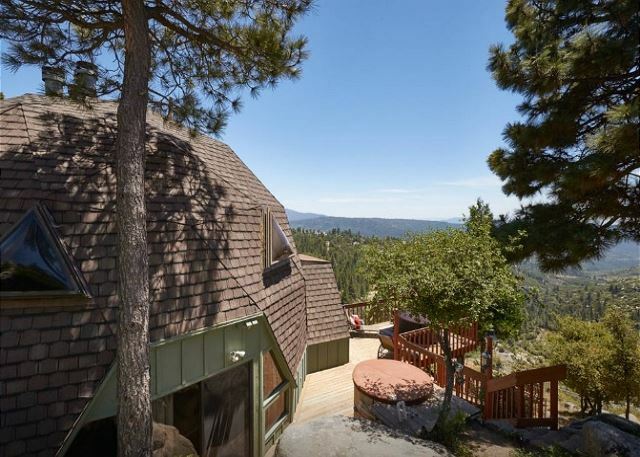 Dome Bungalow available at additional cost. Reserved the Dome for a three day weekend in November 2018. We had 5 adults, 2 kids and 2 dogs in total. 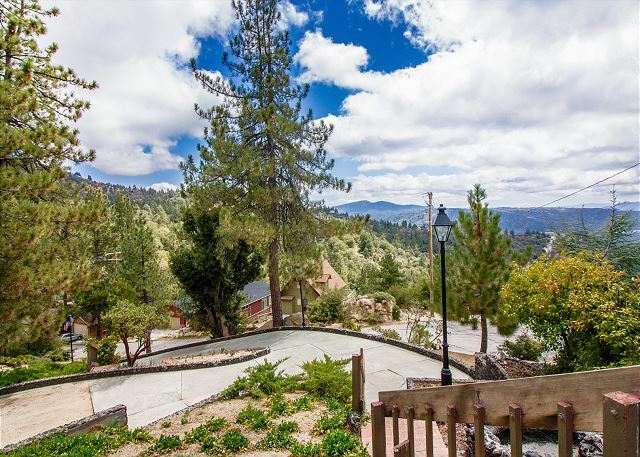 The place was perfect for our size group and we enjoyed our time in Idyllwild. 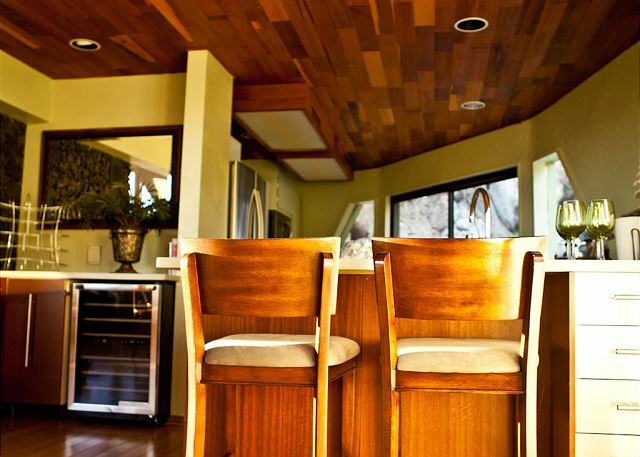 The home had beautiful views, space for everyone, a wonderful kitchen and great outdoor space. On the last night, the kiddos and I enjoyed the hot tub staring at the stars! Loved it. Staff was great from start to finish! The home was in wonderful condition. 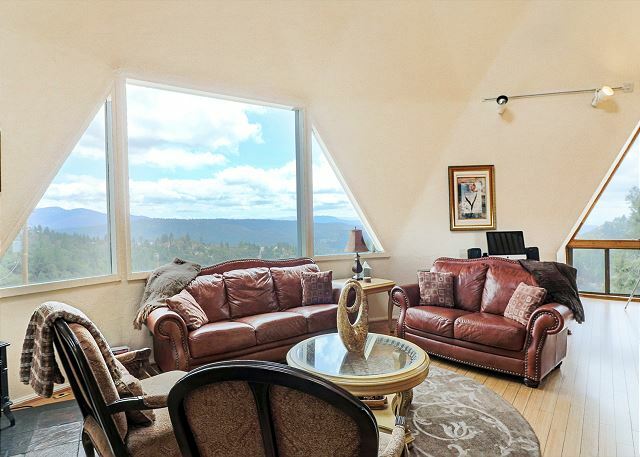 Very private, clean, full of amenities, and the views are stunning. 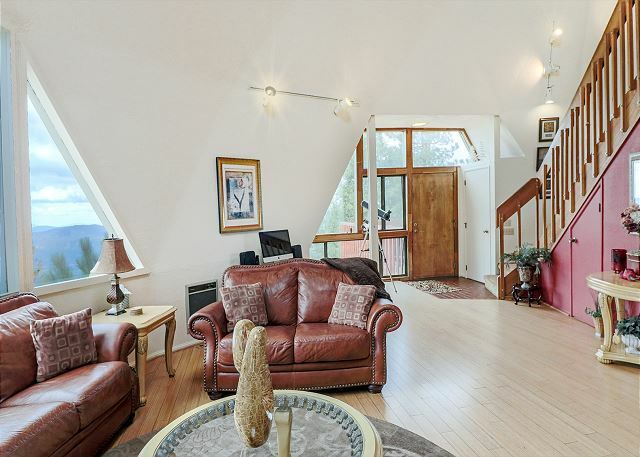 We rented the Dome House for a family Easter getaway. We found the house to be quite suitable for our needs. We cooked all dinners in and found the kitchen to be very well equipped. Would definitely recommend to others. We had a wonderful time even though it was really hot. We enjoyed two long hikes and lots of great meals out. We spent 3 nights in this wonderful property with our family and my brother's family (9 people plus a dog). We had a truelly lovely time. 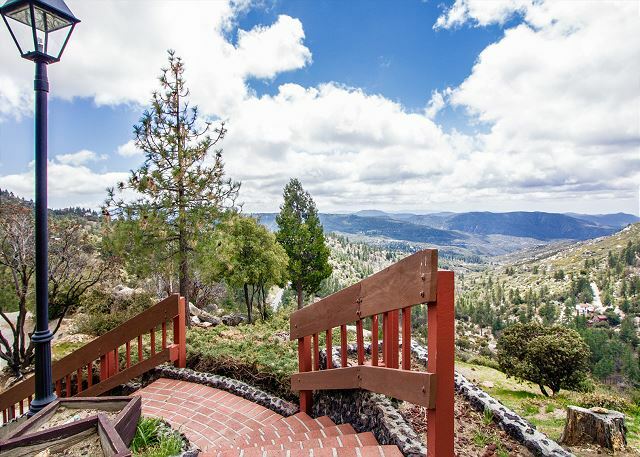 It is a great space in a wonderful location, very well equipped and with stunning views. Our only disappointment was that the cold tub was not working, and as we were there when it was very hot, we were looking forward to using it... it would also be good to have some sort of air conditioning option upstairs, as the heat gets trapped and is hard to cool down. Thanks very much for our wonderful stay. 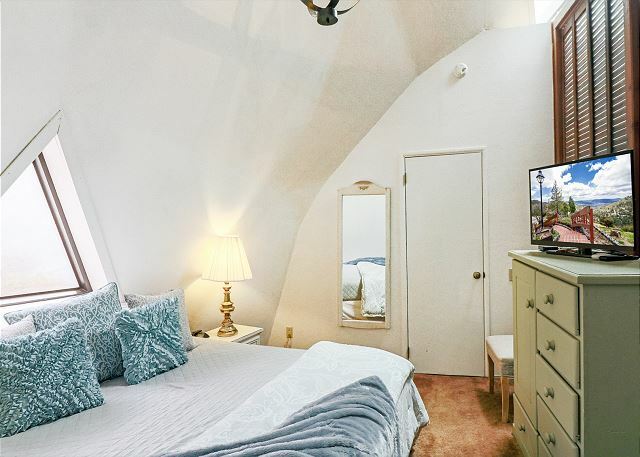 I booked the Dome for a girls weekend and booking process was very easy as well as getting the keys and everything. 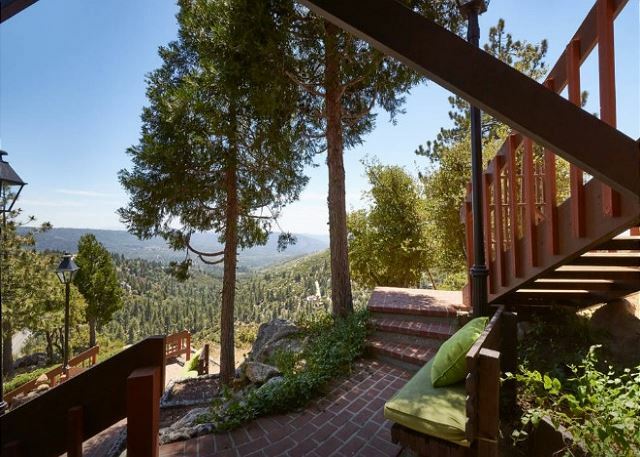 Upon arriving to the house, it was a little less than I expected with some things broken like a screen door, outdoor fireplace, toilet paper holders..but was able to look past it due to the view and ambiance. It wasn't until a few hours later an awful sewage smell started and it became intolerable. Thankfully, when I reported it Monica was more than accommodating and offered to place us in a new house, The Lily Rock Lodge. Everything turned out to be perfect and again, the process of switching houses was very easy. Monica & Nikki are wonderful to work with and I would stay in one of their homes again! Had a great time exploring trails and playing in the snow. Cabin was roomy and great. 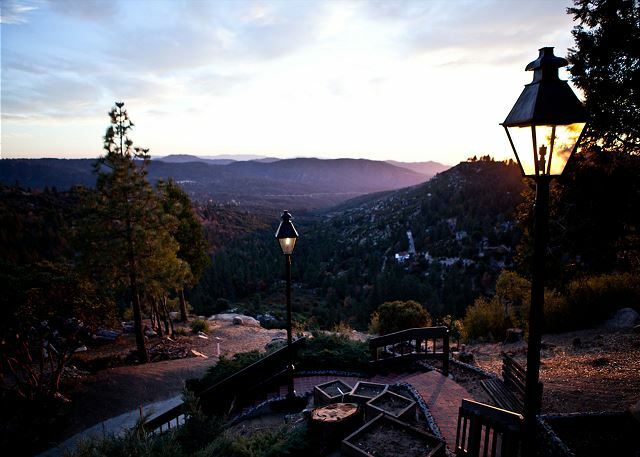 Idyllwild is a hidden treasure and staying at the dome was the absolutely perfect accommodation for friends and I celebrating my fiancés birthday! The view from every window was breathe-taking! Especially watching the sunset in the jacuzzi. 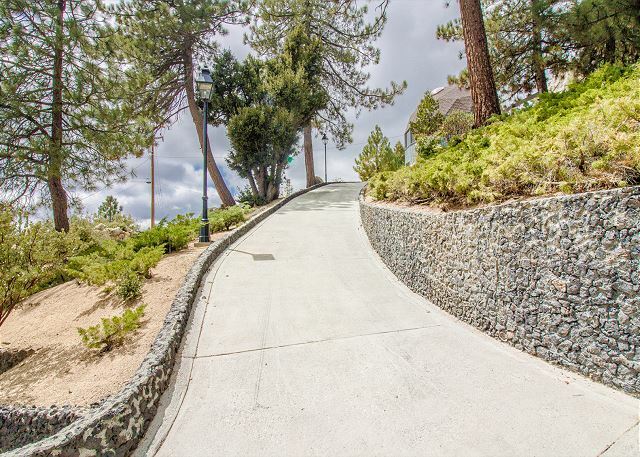 The location was secluded but still close to downtown. The entire home was decorated for Christmas, a sweet touch to a the impeccable unique home. The house was incredibly clean with heaps of linens. The rental company did an excellent job to make sure we were well taken care of. Great time during stay. We had a child almost fall from the upper deck due to the deck rails not being screwed in. Luckily someone was there to grab her but several rails were loose and would fall with a nudge. Everything was great at the property besides that scare. Very beautiful setting. 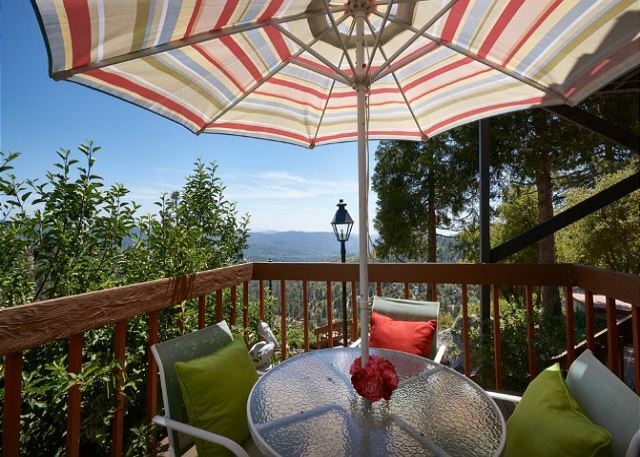 The views from the deck, living room, hot tub, everywhere are spectacular. The cabin is super neat. It was very hot that weekend and there is not really any air conditioning and the upstairs rooms were very warm at night... I would recommend the cabin with the exception of the middle of summer when temperatures get up in the high 90s. Everything was perfect except that the cold tub was empty and the hot tub wouldn't go above 91 degrees. it all ended up okay, bc they gave us a late check out to compensate, but still a bit of a bummer. 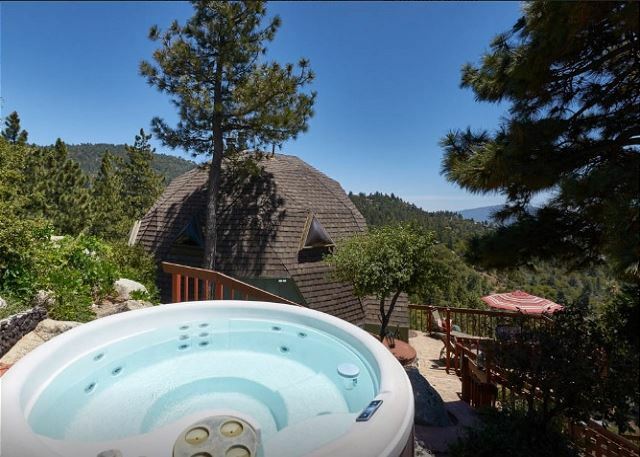 besides that everythig was as described..
Nice jacuzzi with great views. 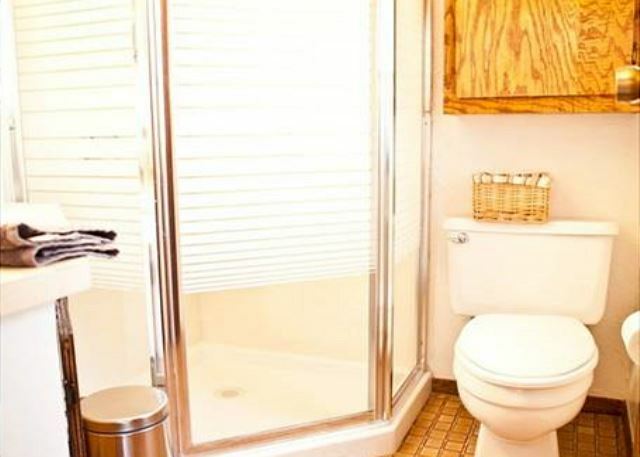 I was a first hesitant to reserve the home after reading the previous review. However after speaking with the staff at New Spirit they were very reassuring and answered any all of my questions. 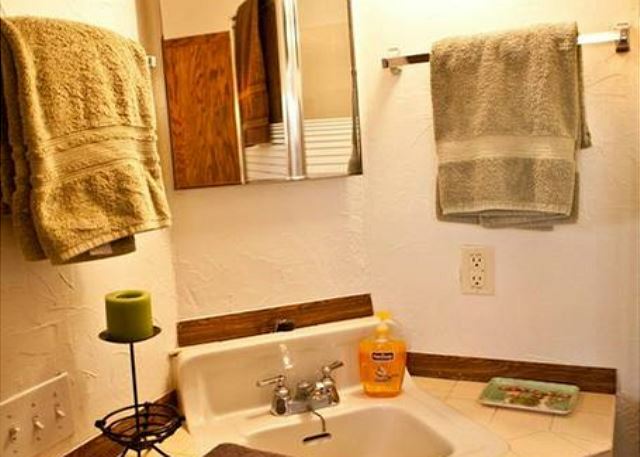 They immediately let me know that the cold tub in the listing was being refinished (which makes sense as it is winter time and I am not sure who would want to get in 45 degree water). Once we arrived to the home the house was not up to my cleaning standards (I am very picky I guess you can say Im a bit OCD. So do not take this as the home was dirty as it was cleaner than most vacation homes I have stayed in), but I did express my concern to New Spirit and within minutes they sent over members of their housekeeping staff. 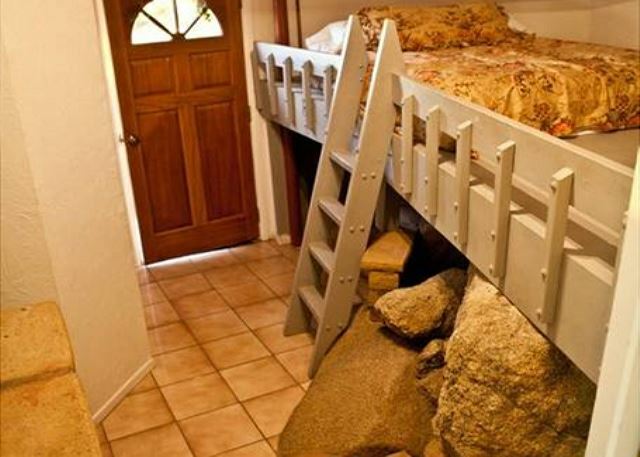 I would definitely recommend this property to family and friend. 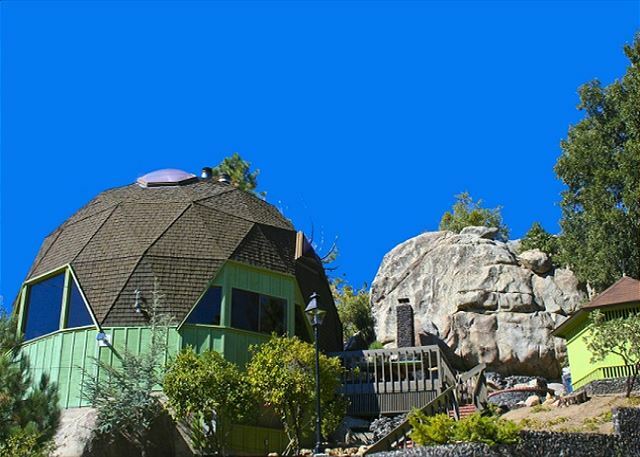 Me and my husband have already planned our next visit to "The Dome"
Thanks Again New Spirit Vacation Homes!! 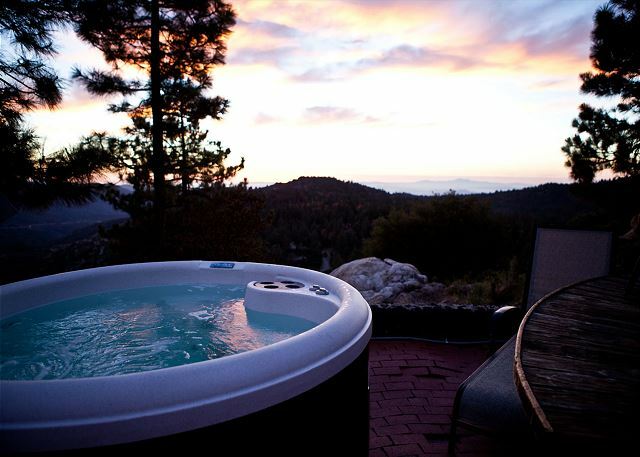 The most beautiful views from any of the outside settings but nothing beats sitting in the hottub and gazing at the stars. 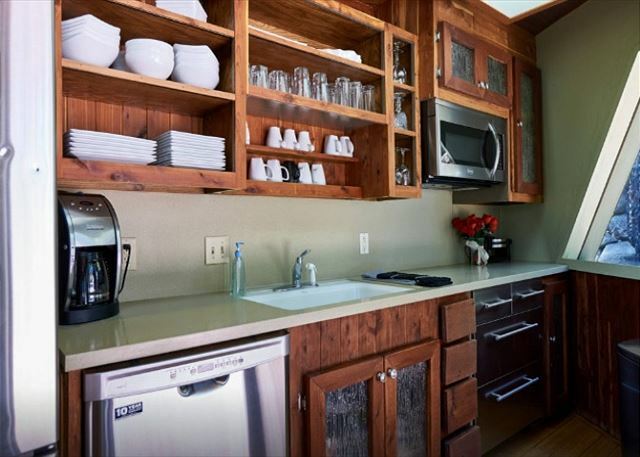 The kitchen has everything you would every need. The only drawback was no air conditioning, but plenty of fans in each of the rooms. It was 115 in the desert and 90 here at the dome. Looking forward to staying here during the winter time.